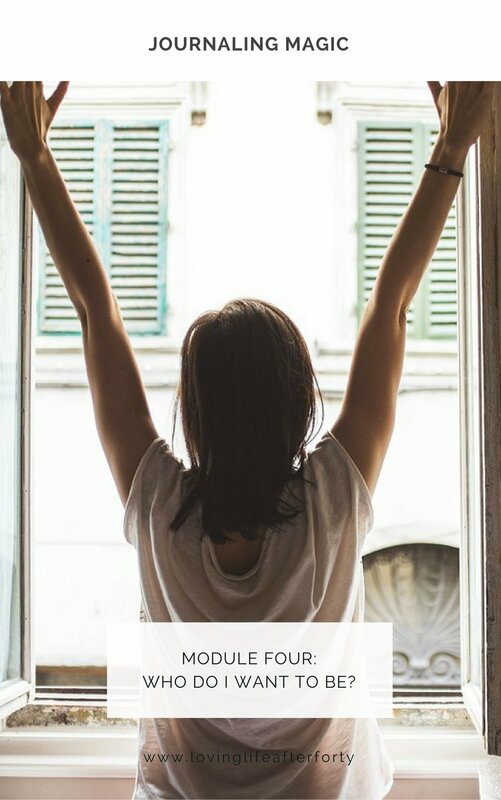 Are You Ready to Love Your Life After Forty? I really hope you said a big, giant, juicy YES! 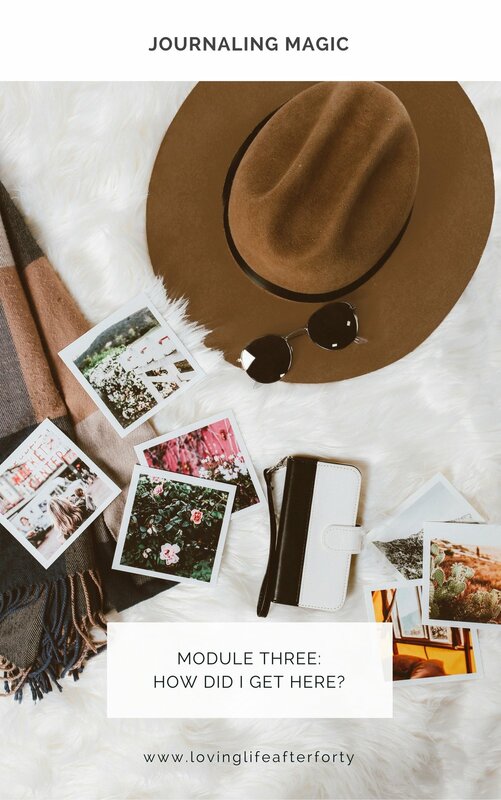 Because you deserve to live a life that is full of FUN, and EASE, and all those super, gorgeous FEEL GOOD moments. And this course, Journaling Magic: Writing Your Way to a Life You Love After 40, is the FOUNDATION to creating that life. Because that’s what it did for me. The #1 thing in my life that has helped me design and create a life I love is: Journaling. The biggest achievements and experiences in my life in the last few years happened first on the page. They happened once I learnt how to use what I call ACTIVE JOURNALING. It’s the foundation for everything in my life. It's helped me through heartbreak and grief, it’s helped me heal past wounds, connect to who I really am now in my forties (the good and the not so good) and embrace it all, and it's helped me make my dreams come true (and keep coming true). My journal is the place where my voice can show up unafraid, it’s where my soul can share its deepest desires, it’s where I can change my life. And the best part about this kind of Magic… you’re totally allowed to know how it works! Have you ever felt as though you’re a passenger in life, along for the ride but not in the driving seat? Do you sometimes feel that perhaps you’re not living up to your potential, that you’re holding back in some way, that there’s something more for you in life? Do you ever look in the mirror and wonder who the heck you are these days, or feel as if your life doesn’t really fit YOU anymore? If so you are far from alone. You’d be surprised how many successful women I know that feel this way. Because it doesn’t matter what our lives look like on the outside, it only matters how they FEEL on the inside. And that’s where Journaling Magic comes in. It helps you figure out the inside first and then design a life to fit YOU. Grounded in Active Journaling, this 6-week self-study course walks you through a very specific process that takes you from where you are now to beginning to design a life you love after forty. Each week we dive into a different area of your life and find the magic hidden there, whether it’s your past, present or future. 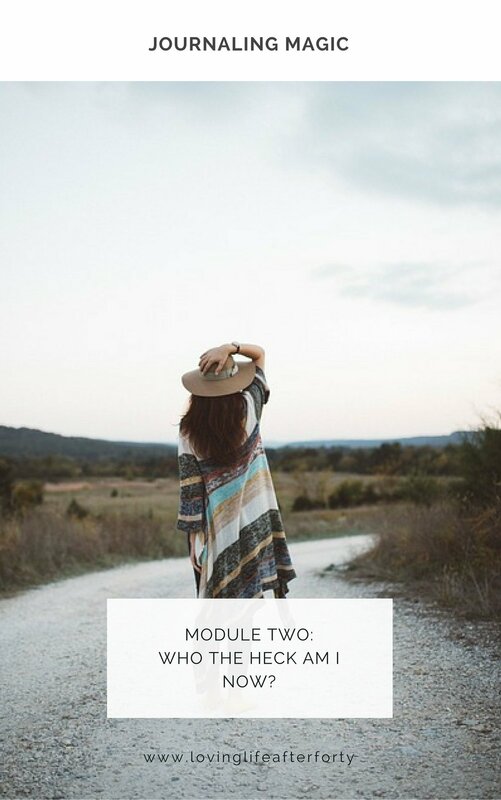 Each module contains daily prompts and actions to help you tap into your own inner knowing and shine a light on your dreams and desires, getting to the heart of what you want your next forty years to look and feel like. As well as beginning to establish a journaling practice that will continue to guide you through life, this process has the potential to be truly transformational. Are you ready to commit to your future and create a Life You Love After Forty? 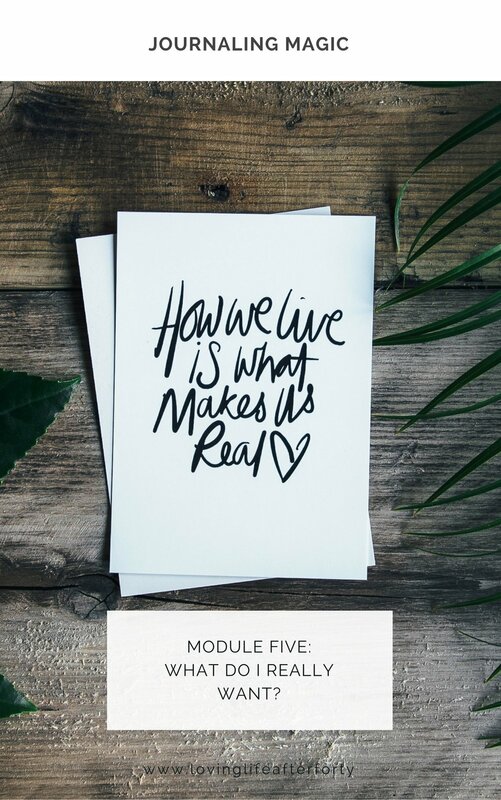 Delivery Method: After purchase you'll be sent a private link to the Course Homepage where you'll find all 6 modules and some super gorgeous BONUSES. You can then download them all at once or weekly, whichever you prefer. Want a sneak peek at what you'll get? No problem. Here are the 6 modules you'll get, each one containing a daily prompt and powerful action. Plus there are some special suprise bonuses over on the course homepage for you to enjoy.